With summer fast approaching, that means it is time for a lot of people to hit the road for their summer travels. While visiting new places, a lot of people pick up souvenirs along the way to remember the amazing time they had in that new state or country. 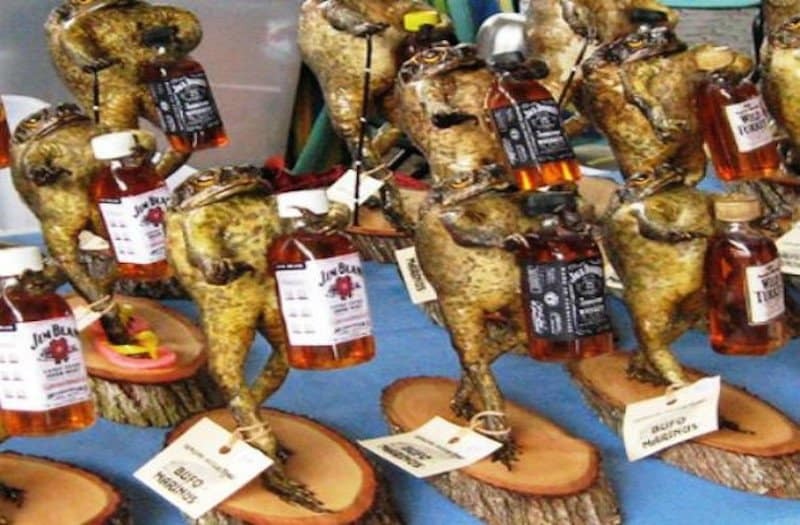 We found some of the craziest souvenirs that people have purchased and some of them might even creep you out! Check out 20 of the wackiest souvenirs from around the world. 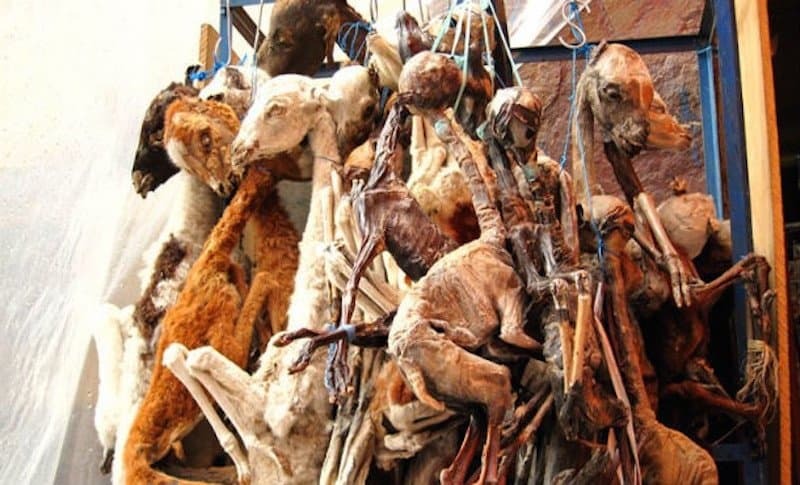 You may be able to buy hammocks and woven bags on the streets of Bolivia, but you can also buy llama fetuses! These souvenirs have a tradition in Bolivia and they are one of the most important parts of an offering to Pachamama, Mother Earth. They also are thought to bring good luck to whoever purchases them. 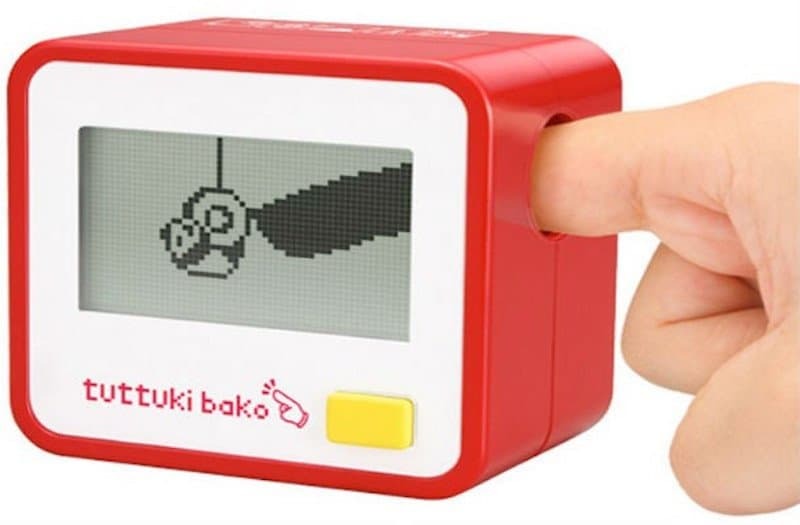 If you are looking for a way to pass some time on your flight back from Japan, then purchase a Tuttuki Bako. All you have to do is stick your finger inside the box and you can start poking the little creature. We are not sure who would want this, but they are popular in Japan. We’re not sure if these will make it back to your friends and family as a souvenir for them, as you will probably eat them on your flight back from Japan! 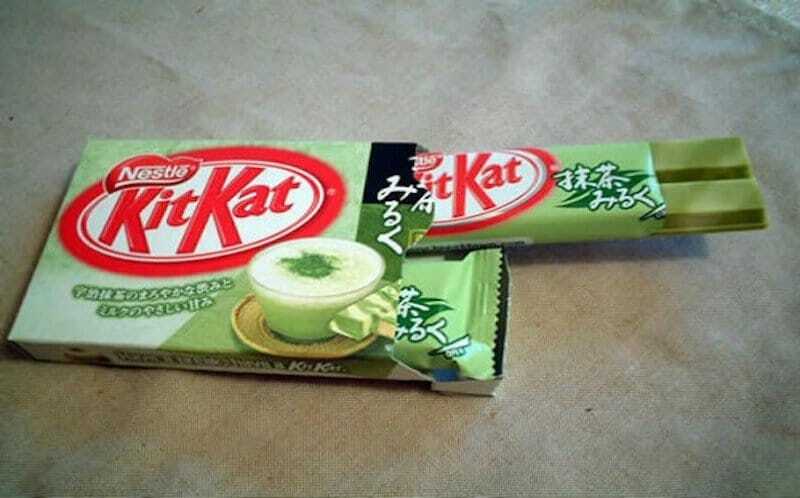 They are very popular in Japan, as they have the sweet matcha flavor mixed with creamy white chocolate on a crispy wafer. Can we have these in the United States? If you happen to be visiting the Natural History Museum in London, then make sure to pick up your souvenir of elephant poop! It is poop right from an elephant, but they also give you ten sunflower seeds with it, how nice of them. 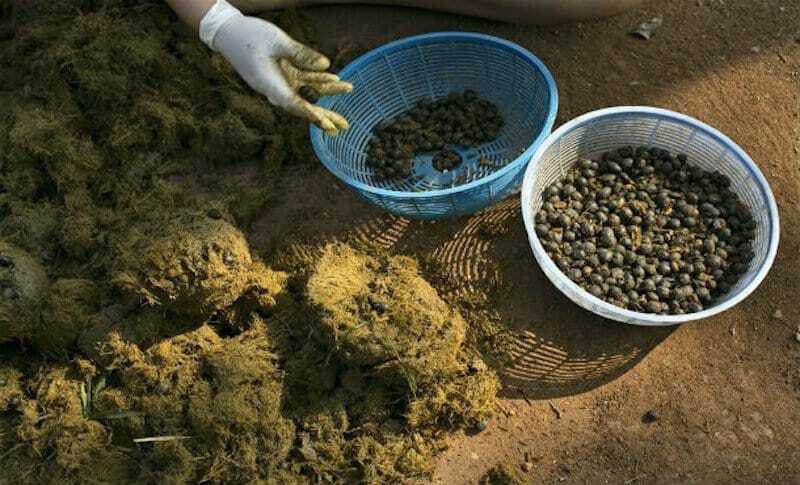 We’ll keep on the elephant poop train here, as they make coffee from it in Thailand. 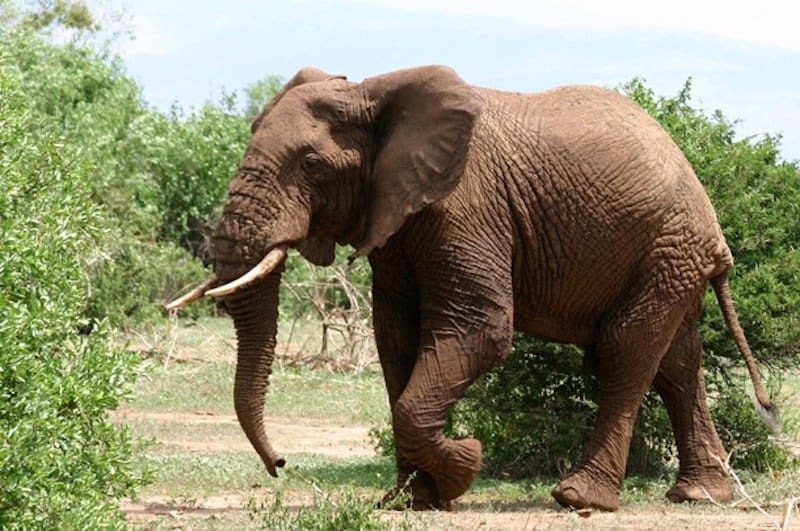 The beans are eaten by elephants and then retrieved from their poop the following day and used to make coffee. As disgusting as it sounds, the beans are said to make coffee that is earthy and smooth on the palate. Apparently you can buy 24 carats of pure gold as a souvenir in the Dubai airport. 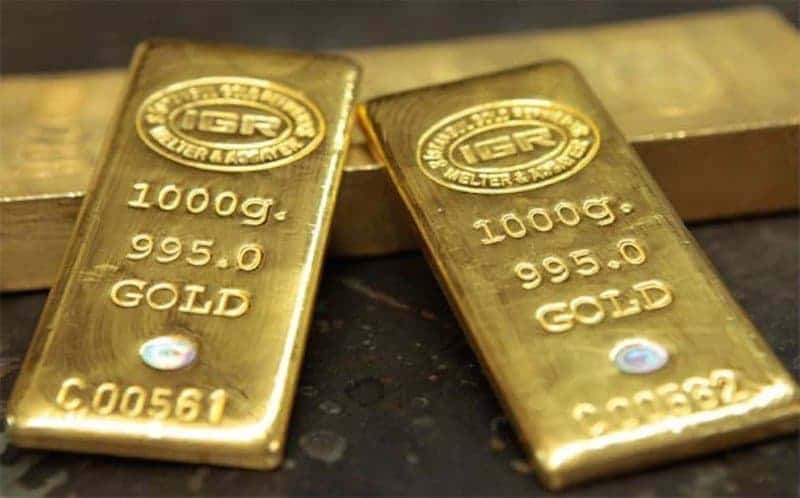 These gold bars would make a nice present for someone, if you had an extra $3,000 laying around to buy them! You can find these delectable treats all over in Arizona. We are not sure why the scorpion needs to be in the middle of it, as it looks disgusting to us. They are sugar free though, so good job there! Going back to the elephants, those beans they used to make coffee are also used to make beer in Japan! 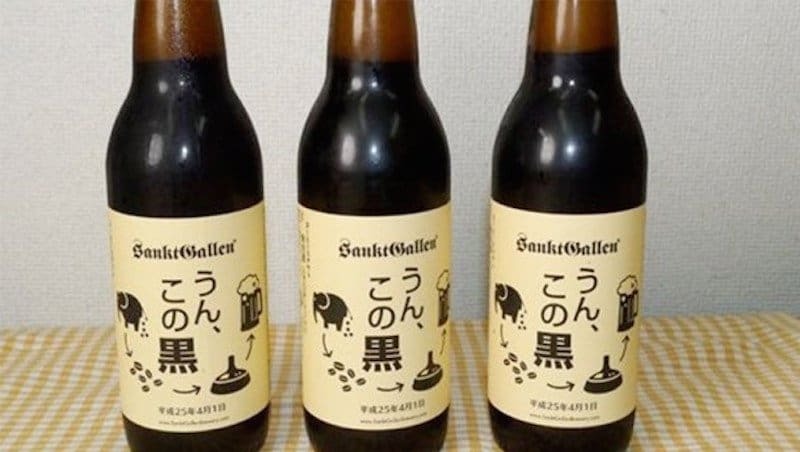 The beans are used by Japanese brewery Sankt Gallen to make Un, Kono Kuro, which is an expensive and very popular beer in Japan. Troll dolls used to be very popular all over the world, but you don’t really see many of them nowadays. 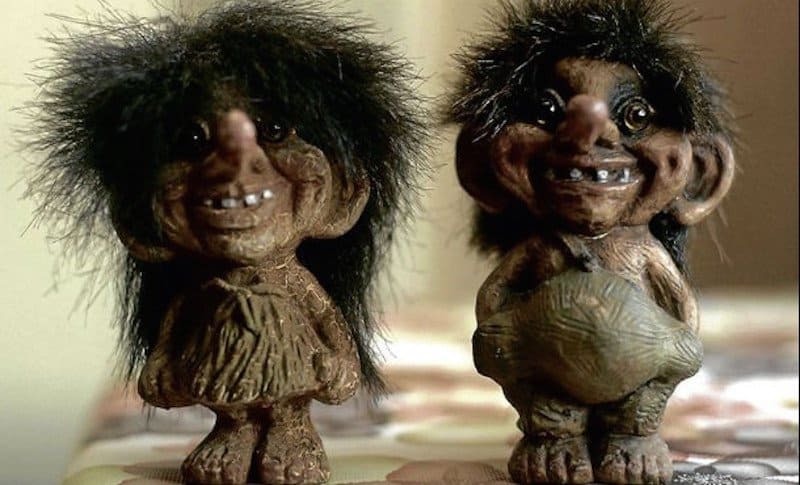 We do not remember them being this creepy though, but they are a popular souvenir in Scandinavia. For those wine lovers back home, pick up this Vietnamese wine for them. 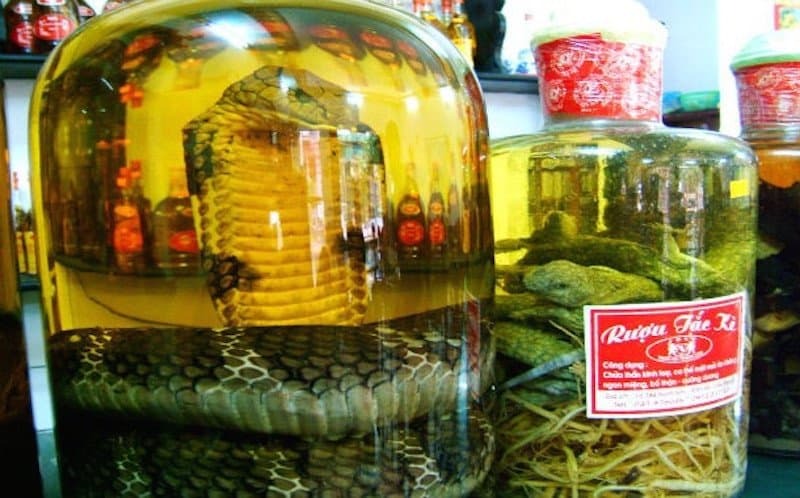 It contains pickled snakes, often cobras, so it might be the first bottle of wine they turn down! 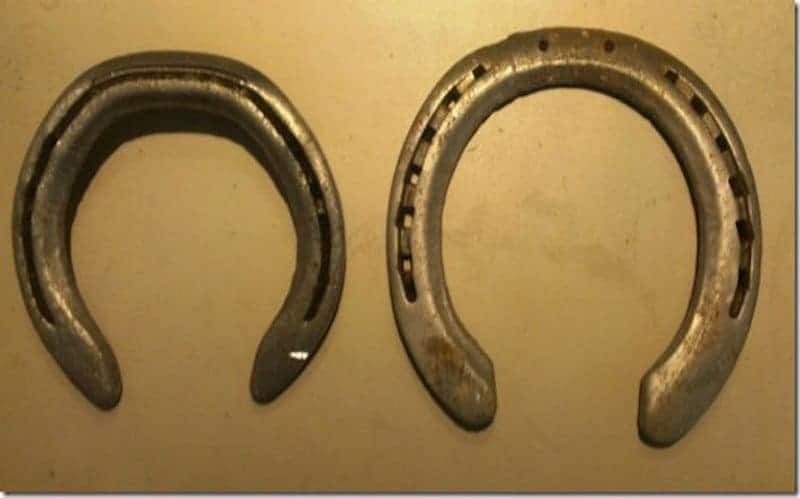 We have heard of horseshoes being lucky, but used ones? You can buy them as souvenirs at the Louisville airport in Kentucky, so the horses race in the Kentucky Derby and then their horseshoes come to the airport for purchase. Before leaving Hawaii, make sure to pick up some MaHaLo Hawaii Deep Sea drinking water. 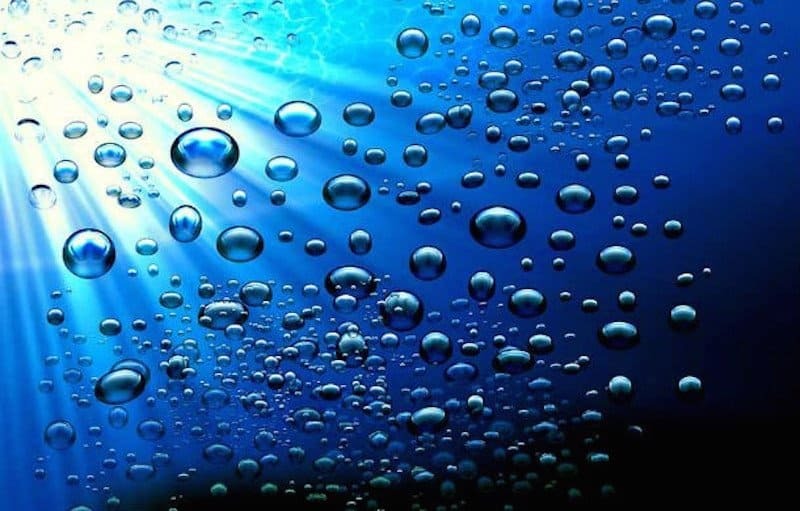 It is used from water 3,000 feet below the ocean’s surface and is said to contain healthy minerals that have magical effects on the body. You might get some weird looks at customs with this in your bag! 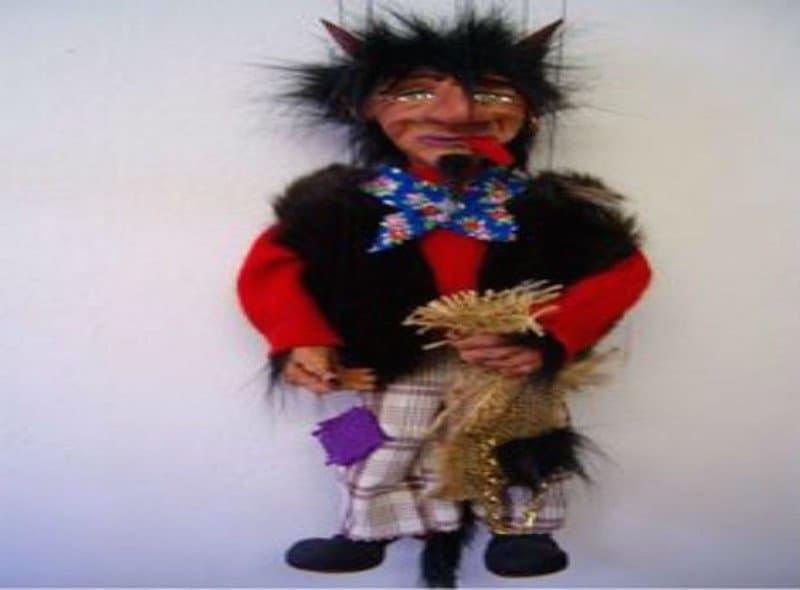 The art of Czech marionettes have been around since the 18th century, so this is nothing new. However, they are very creepy and might scare some of the airport workers. This is the Soviet model and they have been produced at a factory in Bulgaria since the 1960’s. 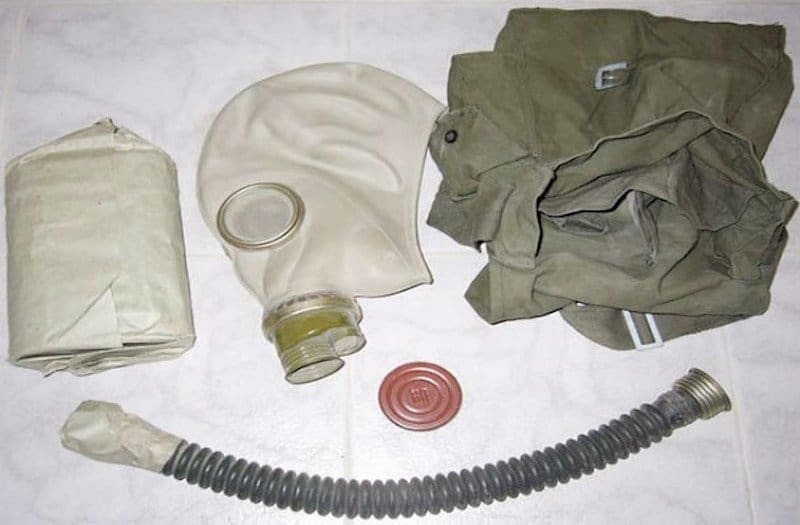 We are not sure about you, but we’ll pass on the gas mask. Most of the time, people would see these things and be creeped out by them. 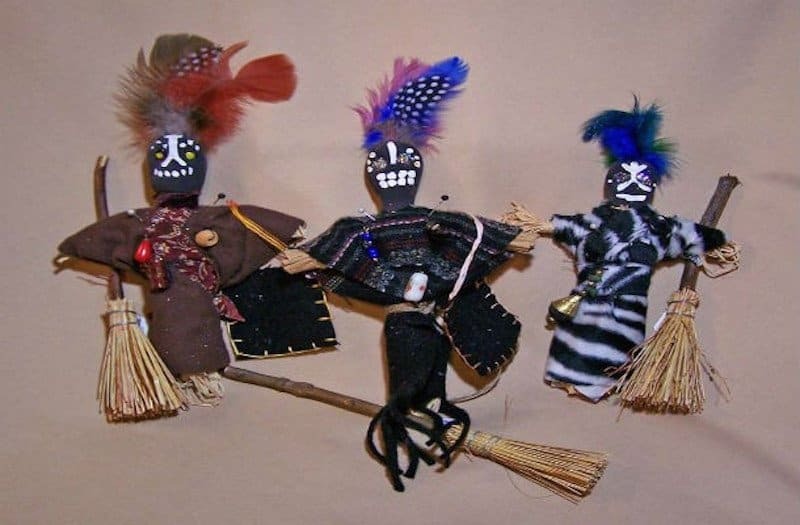 However, they are a very popular souvenir in Haiti, so they must have a lot of people there that they don’t like and want to put curses on them! 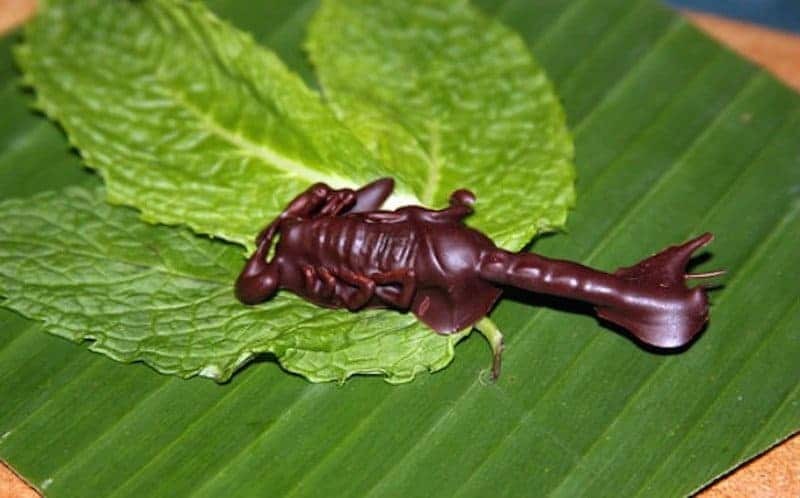 Thailand always has to take it one step further, as they offer scorpion chocolate! These are oven-roasted scorpions that are dipped in chocolate. 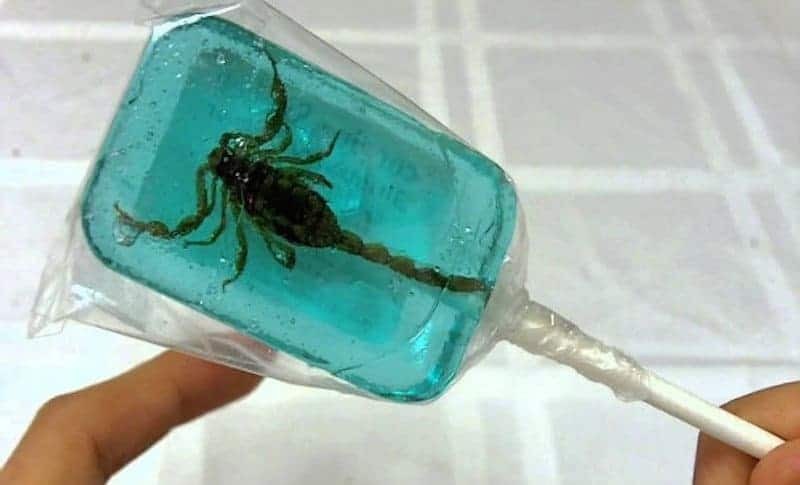 Why do people think scorpions are so appealing to eat? The stuffed cane toad comes from Australia and as creepy as they look, they are used as good luck charms. We are thinking that drinking the Jim Beam will not bring anyone good luck, though! 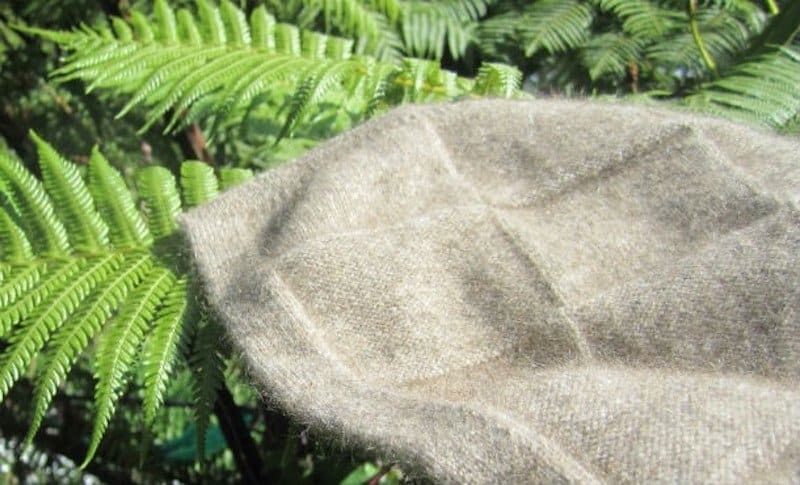 The fur of a Merino Possum is used to make clothing in New Zealand. You might think it is a weird concept, but your friends and family will love this souvenir, as it is very soft and eco-friendly! 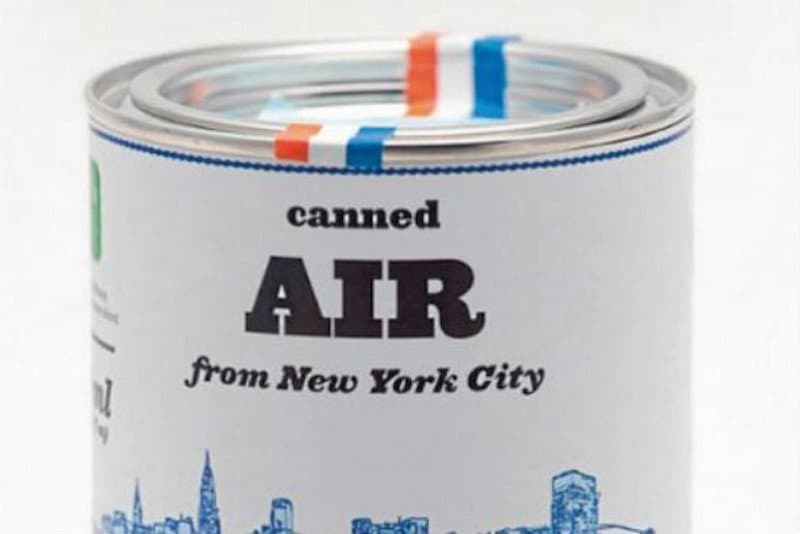 If you want to always have the smell of New York City with you, then pay $10 for this special souvenir. However, you can never open it because then the air will be gone. 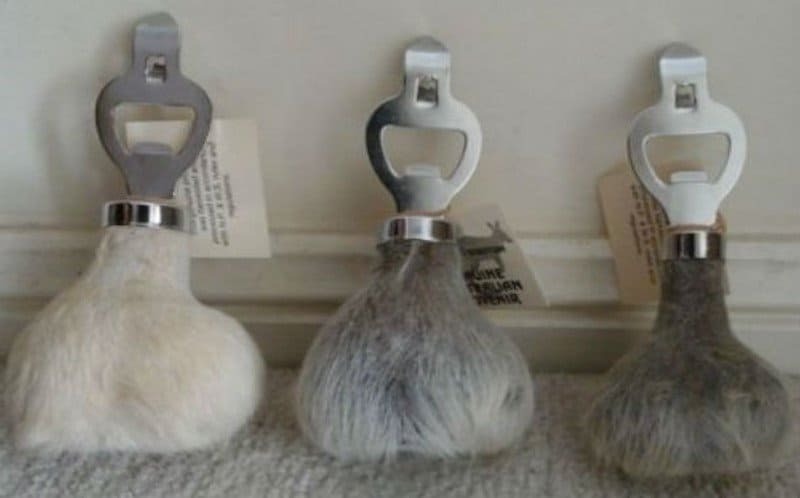 This is approved by Australian National Parks & Wildlife Service rules and regulations, so they aren’t hurting kangaroos to make bottle openers. What guy wouldn’t like to open his bottle of beer using this?